UNTIL 1980 the only experience winemaker John Ellis had with the shiraz grape was limited to the Barossa and Hunter valleys. But then he was approached by the owners of Mt Ida vineyard in Heathcote to make their shiraz. “I was in love,” he says. 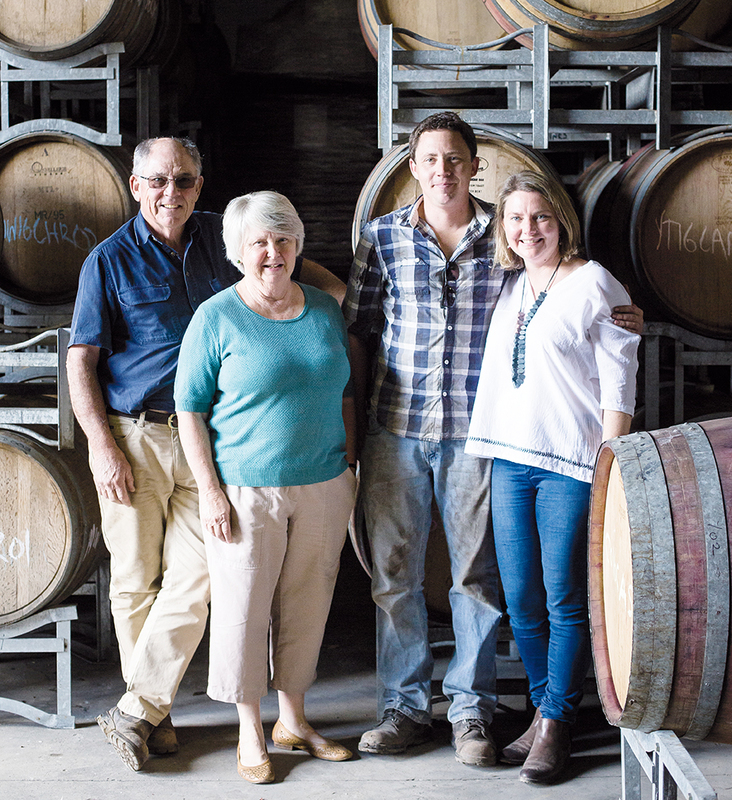 In 1987 he struck out on his own setting up the Hanging Rock Winery with his family and, still in love with Heathcote shiraz, took a lease on a small vineyard at the southern end of the Mount Camel Range. Last month in a rare tasting, 30 years of Hanging Rock Winery Heathcote shiraz were celebrated – good vintages and poor vintages alike, together with the odd no show (no wine was made 1993-96 while a new Heathcote vineyard was planted). John’s son, Rob, who took over as chief winemaker for the 2011 vintage – a challengingly wet year – is now the guiding hand for the wine from one of the most idiosyncratic wine regions in the country, a wine of the deepest, darkest colour with power and elegance.